What is a Belgian Endive? 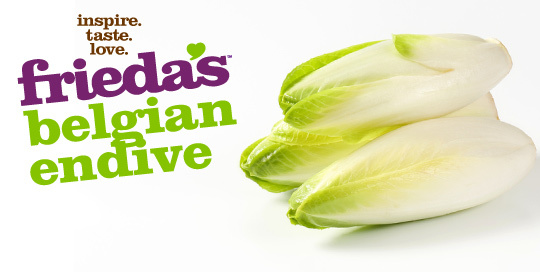 Belgian Endive (on-deef, not en-dive!) is a type of chicory and grown in complete darkness to avoid turning green. The leaves are very tender with a mild, bitter flavor. Use fresh in salads or separate leaves and fill the ends with dip. May also be cooked by steaming, braising, or adding to soups. Choose heads with smooth white ribs and no wilted leaves. Store refrigerated up to one week. Product of Belgium, Chile, Holland, New Zealand, and U.S.A.